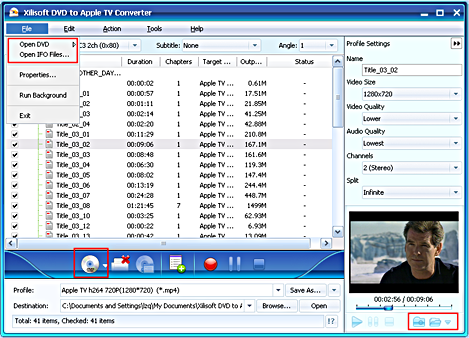 Xilisoft DVD to Apple TV Converter proves professional to convert DVD and convert DVD to Apple TV MP4 (MPEG-4), convert DVD to Apple TV music MP3, AAC, WAV, put DVD on Apple TV with great quality and super fast converting speed! 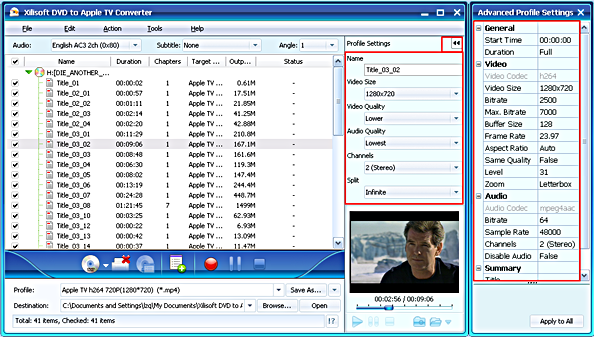 Compared with other DVD to Apple TV Converter software, Xilisoft DVD to Apple TV Converter has more settings you can customize, e.g. 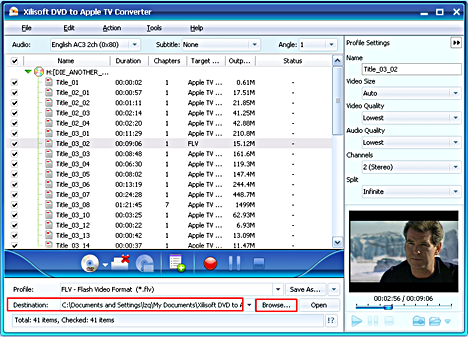 convert DVD to Apple TV mp4 video by custom file size through setting video bitrate, convert DVD's any segment, select target subtitle, move position of the subtitle, or select audio track. 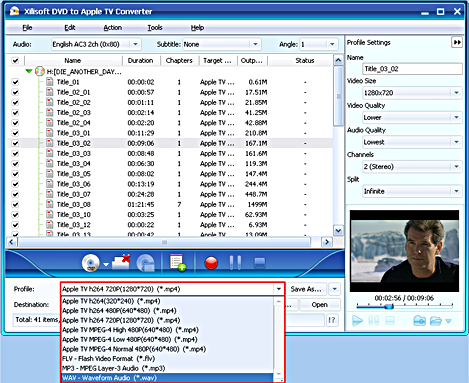 You can get adjustable quality on your television via Apple TV. 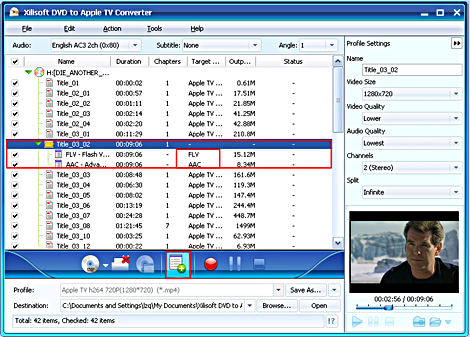 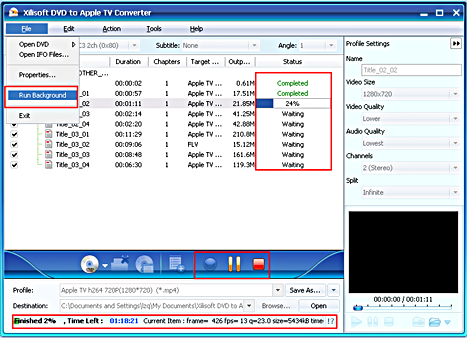 Here is a step by step guide of Xilisoft DVD to Apple TV Converter 5. Hope useful for you!